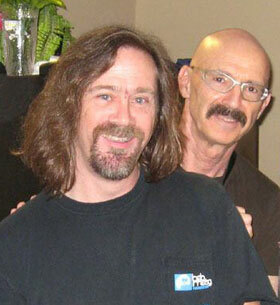 Among musicians, Tony Levin is as close as once can come to being a household name. Among the wider public, he’s not well known at all. That may be because recordings under his own name have had a relatively low profile, despite Levin’s having played on several hundred recordings with and by other artists. He’s one of those stellar musicians about which one can say, “you may not know his name, but you’ve heard his playing.” His instrument (chiefly but certainly not exclusively bass guitar) and voice have graced recordings by everyone from John Lennon to King Crimson, from Alice Cooper to Pink Floyd, from Buddy Rich to Yes. This dizzyingly versatile musician has just finished up a highly acclaimed tour with the three-drummer version of King Crimson, and has just released a collaborative album with his brother – pianist/organist Pete Levin – called Levin Brothers. But the music on the album is neither progressive rock nor pop: it’s jazz, fifties-style. 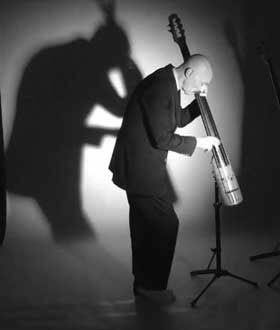 Bill Kopp: More than any other musician I can think of, you’ve played live and recorded in most every genre. Do you bring any specific sort of mindset to bear on a project based on the style you’ll be playing? In other words, do you approach sessions for The Levin Brothers album differently than, say, King Crimson? That describes my playing too, not just the process — like any fan of the music, I’m listening to the song if that’s what it is, or to Robert Fripp‘s guitar line if that is what it is. And I try to do something to enhance it. 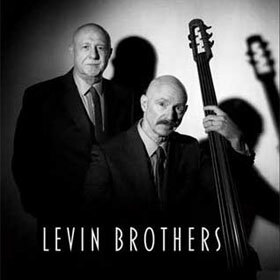 Bill: To what degree were the tracks on Levin Brothers “composed,” and to what extent did they develop in the studio? Tony: We wrote the songs completely, like you do with jazz records – then left the soloing for the players. The drum parts, Jeff [Siegel] sorted out very quickly and easily. Bill: You play (at least) bass guitar, Chapman Stick, NS electric cello, and upright bass. Do you view those as four wholly distinct instruments, or is it more of a case of them being different extensions — tools — of your musical expression, chosen based on the project at hand? Tony: I hadn’t thought about it, but I’d agree with your description of them as tools. I’m always the bassist in the band, so looking at what the bottom end will provide, and the sound differences among those instruments, even subtle differences, mean a lot to me in determining what will work. Sometimes the drum sound affects the amount of low end that’s left for me, so I may choose an instrument just because it has a big warm sound, or because it doesn’t have that. Bill: Is this the first recorded collaboration with your brother? When working with him, do you experience anything musically unique, any sort of unspoken-yet-silently-understood level of communication? Tony: We’ve worked together a lot, in various bands, through the years. We work great together and if we’re straight on where the music is heading, we each trust each other’s vision of how to do it. We also play locally, as a duo, pretty much whenever there’s a benefit show that needs a duet to help raise some funds… so the album isn’t really the first time we’ve played jazz together — but it is our first release. 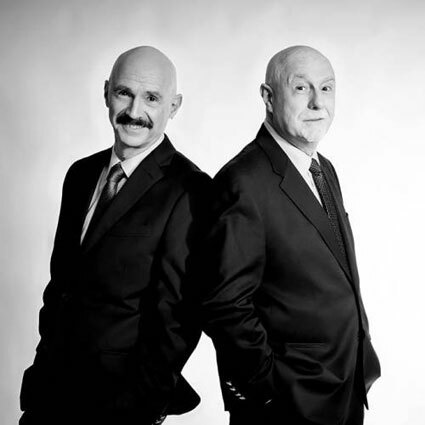 Bill: The style of music you’re playing on Levin Brothers is most closely associated with the late 1950s and early 60s. But the style has clearly endured, sounding fresh today. Why do you think that this kind of music is so timeless (assuming you do think so)? Tony: I was indeed struck by how the cool jazz I’d heard as a kid stayed with me all these years. I attribute that to the great songwriting and soloing of those players – Oscar Pettiford on cello and bass, Julius Watkins on French horn, Charlie Rouse on sax. So we didn’t copy their songs, but we did stay with the simpler chord structures of that style, and tried — hopefully with a little success — to write some songs that will have you humming them to yourself. Bill: The album has that everybody-playing-together feel that’s so important on jazz recordings. Was it in fact done that way, or were the pieces assembled with other parts — drums, guitar etc. – overdubbed? Tony: We tried a variety of approaches: we did demos that were there to overdub onto, and did some stuff from scratch in the studio. Usually, though, we had worked out in advance the tempo that was just right for each song. In my experience it can be a big time waste if you’re searching for the tempo, and with Pete and I together all the time it was pretty easy to practice them at different tempos ’til we arrived at the best one. Bill: Considering all the tracks you’ve played on, and all of the musical styles you’ve played, is there a type of music you haven’t yet but would like to work on? Tony: I don’t think about styles too much…and though I’m flattered about your description, really there are lots of styles I don’t play, or have only played a little. I think Latin music, particularly Latin jazz, is really fun and cool, but have only done a little of it. Likewise I love the power of heavy metal, which requires a particular recording style — and I’ve only been exposed to that a couple of times. Bill: Is there anyone you’d really like to work with that you haven’t? Who would I love to play with? Jimi Hendrix. Think you can arrange it? Bill: Are there any plans for live dates in support of the Levin Brothers album? Tony: We will tour for sure, but it’s hard to predict the season at this time. It depends on scheduling of a number of bands, and we’re trying to sort that out now and make plans to bring our music everywhere we can.